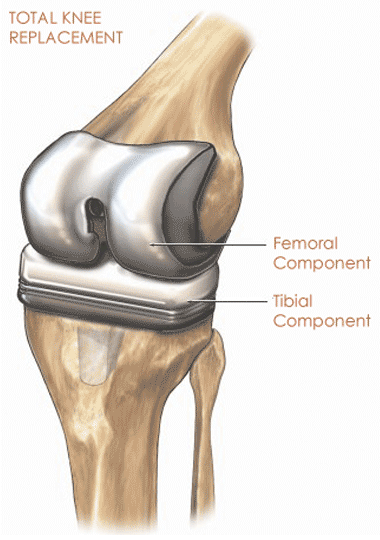 Joint replacement surgery involves the partial or total removal and replacement of a joint in the human body. Hip, wrist, shoulder and knee are some of the most prevalent joints that need to be replaced. The replacement parts that are put into the body are known as prostheses. When the prosthesis used does not work as promised by the device manufacturer, the patient can be entitled to compensation. Medical Claim Legal can help you if you or a loved one has been harmed by a faulty joint replacement. What Causes the Need for Joint Replacement Surgery? The majority of joint surgeries are caused by the presence of arthritis in the joint. When the arthritis is too severe for other remedies, total replacement can be required. According to the Center for Disease Control and Prevention, there were over 700,000 knee replacements and over 330,000 hip replacements in 2010, making them the two most common replacement surgeries. Some large orthopedic medical device manufacturers such as Stryker, DePuy and Wright Medical are the center of joint replacement lawsuits. If you or a loved one has been harmed by a defective replacement device, you may be entitled to financial compensation. If you or a loved one has been harmed by a defective joint replacement, contact Medical Claim Legal today. A free consultation is the first step in getting the medical compensation that you deserve.